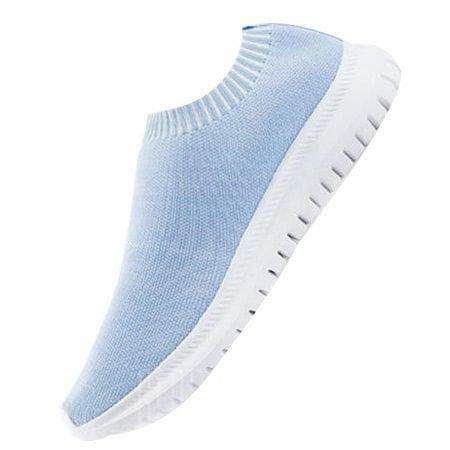 -Concise and easy to fly weave shoe design, USES the domestic high-end super light flares, yarn, soft and comfortable, foot and joint has good air permeability, effectively promote natural air circulation, keep feet clean. -High performance PU FOAM insole, with maximum support and cushioning, and all-in-one garter cover on the vamp, it is convenient to wear and take off and effectively prevents the dislocation of the insole and constructs a comfortable and loose foot environment. -Fishbone IP injection bottom, improve wear - resistant effect, effectively reduce foot fatigue and injury. Light and flexible, long walking does not feel tired. -The appearance line is fluent, contracted design is easy to match all sorts of clothes and trousers, need not bother to think to be able to wear distinctive taste style, hold concurrently good-looking and comfortable, fit, be competent for all sorts of scenes of life.